Got your head in the clouds and your heart on the slope? Then you'll love this outdoorsy CHARM IT! Love to Ski! charm. 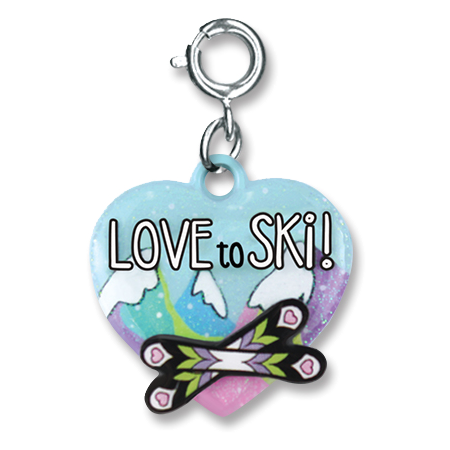 With colorful raised skis on a background of glittery mountains and beautiful blue skies, this sporty Love to Ski! charm has white and black letters declaring your love for the sport. With a simple snap of a clasp, you can personalize your charm bracelet with this fun CHARM IT! Love to Ski! charm. 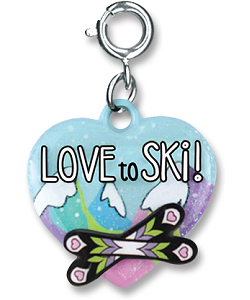 This sporty I Love to Swim charm features enamel lettering and a glittery heart on a background of glittery blue waves.